When asked as to why Mickey Boston decided to move to Montreal from the United States, he would easily credit his migration to Montreal’s numerous gifts, one of which being art, beautiful people and multiculturalism. When Hezbollah waged war on Israel and Beirut was being bombed back to the stone-age, the stories and personal accounts of the Lebanese on the ground touched home back here in Montreal–as Montreal itself is home to the largest Lebanese community outside its borders. When Haiti‘s earthquake struck its capital and surroundings, Montreal experienced its aftershocks in like manner of the Lebanese tragedy. Tunisia’s current predicament speaks for itself. All three diasporas are vividly present in Montreal; one couldn’t assess that he/she didnt have one friend of Haitian, Lebanese or Tunisian origin. In essence, accounts from abroad will always hit hard on Montreal’s streets for its obvious reasons. When it comes to the schisms of gloabal politics and socio-economics, all three nations in themselves have their distinct predicaments in which passions run high in an insatiable fury. Algerians likewise, cry for change and betterment, for the most part many immigrants in Montreal left their distinct homelands for specific reasons and if it was not about politics or socio-economics, it was about something else. Nevertheless, politics and socio-economics are a significant raison d’etre when it comes to the matter of migration. Individuals and ex-pats migrate to better lands in their perception because they were escaping something from back home. Home in itself is undeniably where the heart is. Art by friend and Tunisian brother of Big Brosky, eL Seed. In the above, painted in Montreal's St-Henri district, eL Seed captures a parable about one's homeland: "You can tear a man from his country, but not the country from his Heart." In context of Tunisia in this specific case, aside from the artistically oriented Tunisians Brosky is familiar with–Graff artist eL Seed, francophone hip-hop brother in rhyme, K-Rim and R&B recording artist Moez Melon–his personal interactions with the Tunisian diaspora in Montreal actually began at the age of five when he met his second Qur’an teacher, Imam Habib, who is still an Imam in Montreal’s Jean Talon district. Being politically aware of Tunisia’s woes and the exile that prompted the Imam and fellow students to Montreal was embedded within the understanding of the child growing up around Tunisians. By the age of eleven, Brosky was enrolled in Ecole Nour, a Tunisian established Islamic school in Montreal’s Jean Talon neighbourhood. Undeniably, politics and discussion–as well as debates over the dire predicament of home–was always highlighted by parents and administration within the school. Since those days, it has been a long time coming, January 2011 to be exact, making it over a good twenty years. Brosky as a child was not familiar with the aspect of political torture although watching documentary films made by a Tunisian parent at the school was what brought awareness to the brutal regime of the 80s. The peoples' revolt was revolutionary indeed, was it caused by Wikileaks or is that just Western backed sources trying to shift another accusation for their government to shut down the cables? All this while fires raged by the parliament as Ben Ali's home was burned to ashes. What was hurtful in context of Haiti’s earhtquake was the aspect of corruption on the part of the nation’s ministry of housing which neglecting housing laws and hence ignored repeated warnings concerning the aspect of unstable buildings and foundations. Ben Ali’s regime and cabinet, well, they have been corrupt too. The question is, why do Western democracies support Tunisia’s government and why had they done so in the past? There is no denying the fact that Brosky can point that Ben Ali may have exiled Tunisia for Saudi Arabia however, his Swiss bank account will not be emptied and sadly he and his family will not return the money they took from their very own people and so Tunisians in Montreal will not even have to bother knowcking on the door of Ben Ali’s son-in-law’s lavish, and may we mention, vacant, multi-million home in Westmount, Montreal. Ever wonder why the "O" is colored in? Well the person spelling "People" had initially spelled it "Pea...". Tunisians leave their nation for France or Quebec. In the case of Quebec, it is most likely Montreal and as mentioned earlier, Big Brosky when a little Brosky grew up with that community. They migrate because of the lack of oppertunities let alone corruption. Money and finances are the main reasons to migration. In essence, the riots, which had been rumbling all of January 2011 had gripped the nation, had essentially been caused by levels of high unemployment and general disenchantment with a government some view as corrupt. Enter Wikileaks and its First Revolution. Brosky questions if it wasnt for Wikileaks, would all of this be happening? Would Tunisians have taken to the streets if it was not for Wikileaks’ reports on the “Family Mafia”? 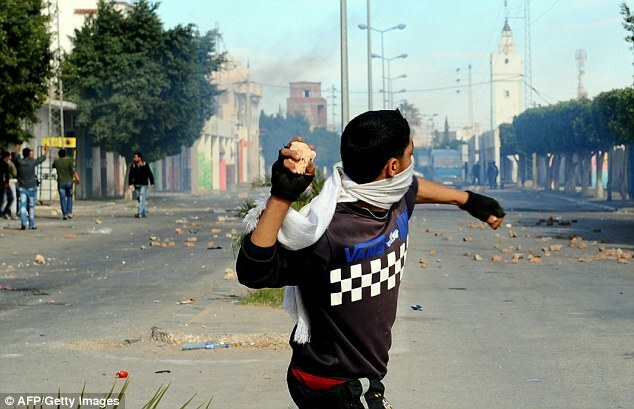 Allow us to tweet a Revolution…events in Tunisia have led to it being called the “First Wikileaks Revolution.” Yes, social media can cause riots just like Wikipedia and Google maps can evoke a stand-off between two states in the Americas. Having mentioned this, one must further take into account the actions of a young Mohamed Bouazizi. Brosky asserts that in truth, Western medias may only be set on an accusatory stance towards Julian Assange’s Wikileaks while completely paying disregard to the dire predicament of Bouazizi. Wikileaks did not cause this ‘Revolution’; Bouazizi’s death marked it and lynched the peoples’ desire for change and removal of a Western backed regime. Here, Western media sources of the likes of CNN, CBS and FOX neglected Bouazizi’s demise and untimely death as well as the United States’ support for the Ben Ali conglomerate. Should we expect more of this in other Oriental states? Egypt, Algeria, Morocco, Jordan, Saudi Arabia, Pakistan? The people are tired of their corrupt-Western-backed regimes. Undeniably, it may very well be that Western media sources were too pre-occupied with an invested ‘Revolution’ in Iran backed by oil Goliath Saudi Arabia. Despite such givens, we shift back to Wikileaks. In essence, it was a recently released June 2009 cable that referred to President Ben Ali and his siblings as ‘The Family,’ hence likening them to a Mafia elite that ran Tunisia’s economy. Moreover, the cables, published in December, also claimed that the president’s wife – Leila Ben Ali – had made huge profits out of the building of an exclusive school let alone collecting funds from numerous government controlled institutions. Mohamed Bouazizi, was a recent graduate forced to assume himself as street vendor who set himself on fire in protest of economic conditions and police mistreatment. 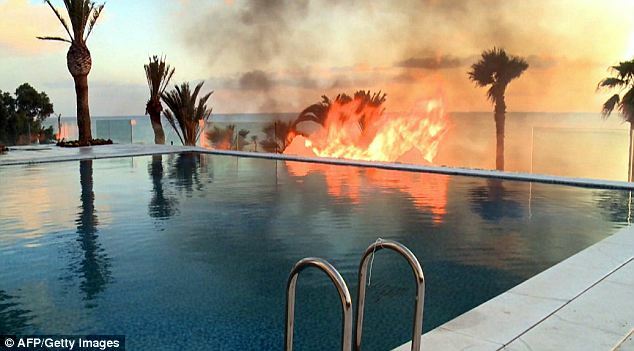 His self-immolation marked the beginning of the 2010–2011 Tunisian protests, which has led to the president to step down after 23 years in power. Bouazizi, a university graduate who had been unable to find meaningful employment, resorted to selling vegetables on the street in Sidi Bouzid to support himself and his family. On December 17, 2010, the police confiscated his wares, ostensibly because Bouazizi did not have a vendor’s permit. Some sources report that the police slapped him and otherwise harassed him. Later the same day, Bouazizi tried to lodge a complaint with municipal authorities, apparently to no avail. He left a message for his mother on his Facebook page asking her to forgive him after losing hope in everything. He then acquired a can of gasoline, doused himself in front of a local government building, and set himself alight. He succumbed to his wounds on January 4, 2011. 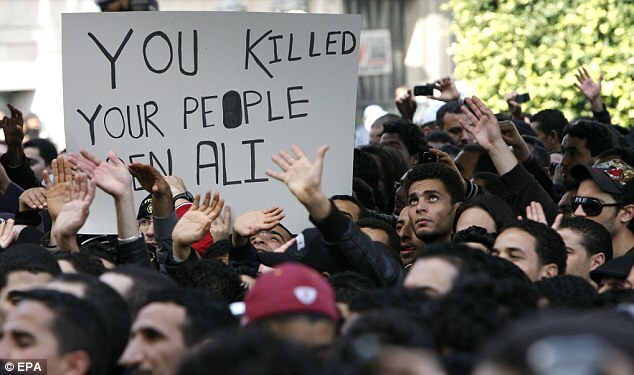 His death set off weeks of massive street protests throughout the country, eventually leading to the downfall of the Tunisian leader Zine El Abidine Ben Ali, who had been president of the country since seizing power in 1987. This Revolution was also due in part that Tunisians are now playing Big Brosky’s hip-hop loud, they realize these governments have been playing them on some Chess. ← Banksy Exploited by a Self-Consumed Kangaroo Thierry Guetta?